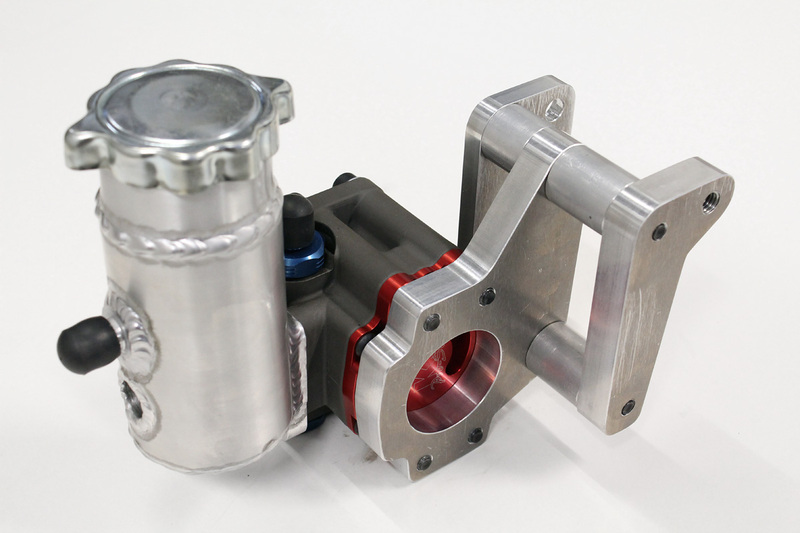 Here's the fancy little KRC racing pro-series power steering pump that I have for the 'cuda. It's a really nice piece of gear! 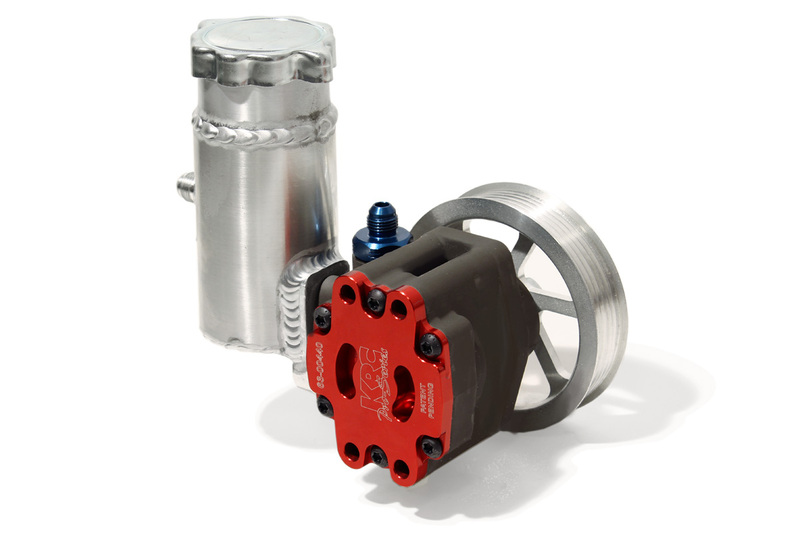 I went to an aftermarket pump as I felt that with the steering quickener and hydroboost stressing the power steering system I had better upgrade to a pump that can handle it. 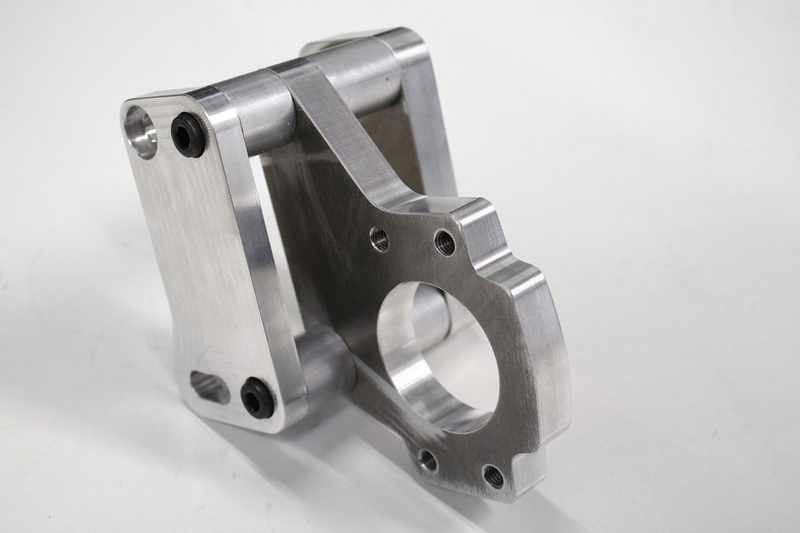 However KRC don't make a bracket for mounting their pumps to a big block mopar, so I had to come up with my own. 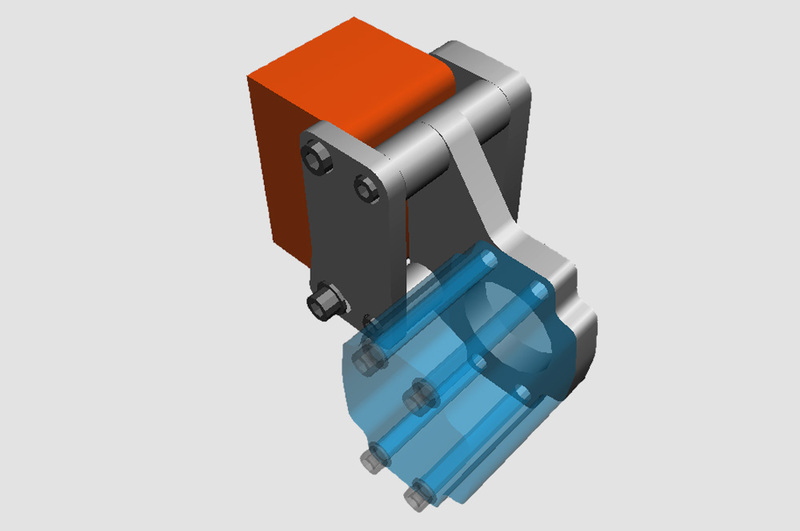 I mocked up the pump where I wanted it on the motor, and took some measurements. 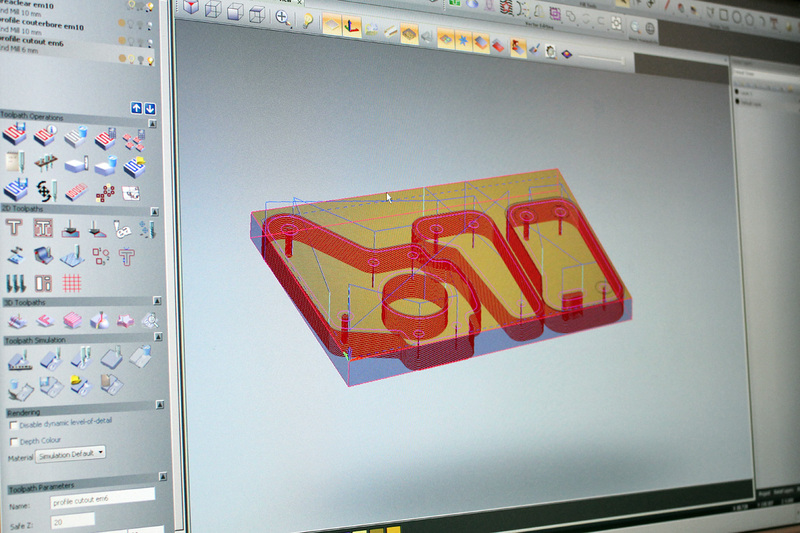 Next I designed a bracket using 3d software. The orange is the water pump boss where the bracket attaches and the blue is the body of the pump. The brackets are threaded negating the need for any nuts to bolt it together, and there's counter sunk holes for the cap screws. Then I broke out the big guns! 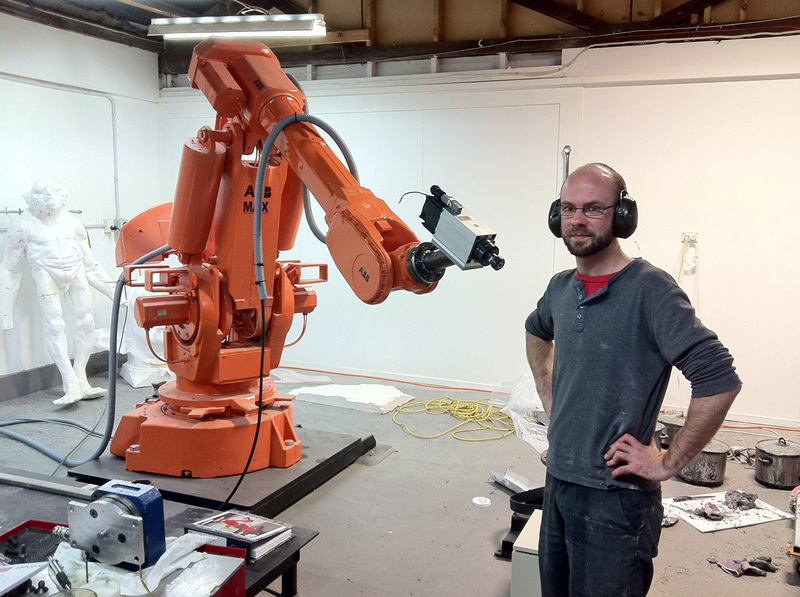 Meet Jordan, one of the resident genius's at Weta Workshop (he's the guy not the big robot). Jordan builds machines that build machines that build jet engines. It's as rad as it sounds! 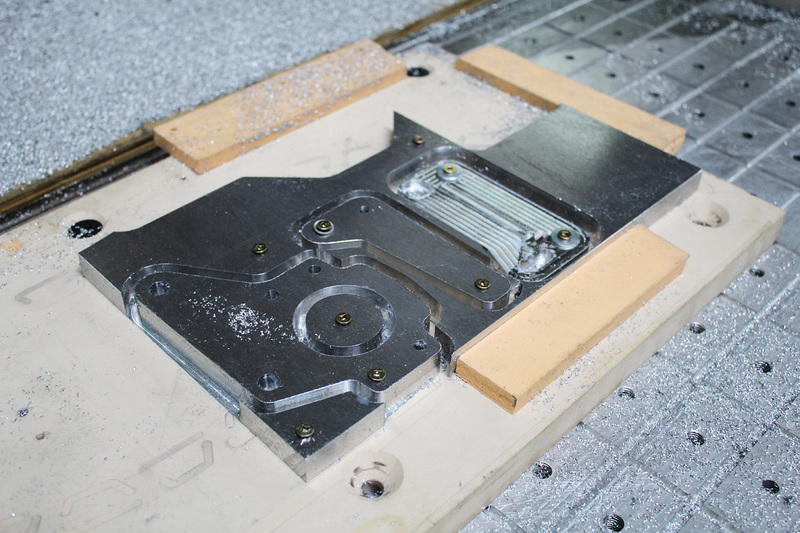 He put one of his many self built cnc milling machines to work machining the brackets. Here's the tool paths calculated in cadcam software. And here's the machine that was used to mill the brackets. 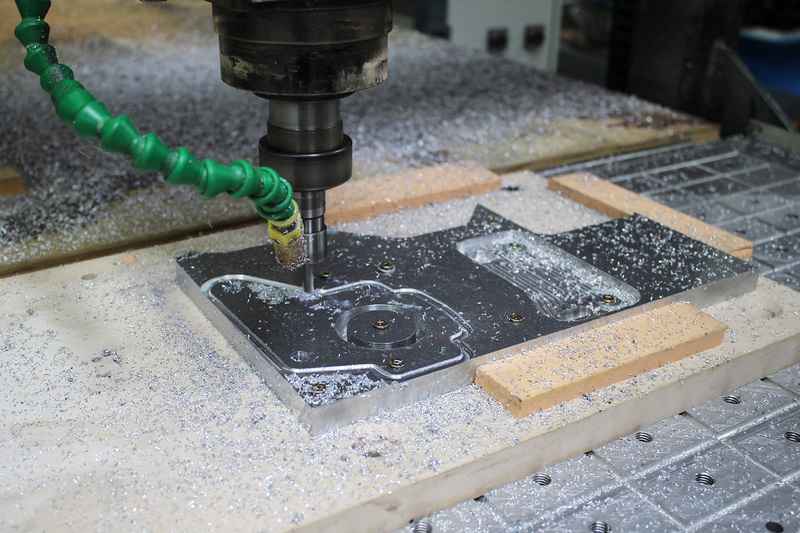 All this was a little dream come true for me, I've always loved cnc machines, and this was my first taste of the real deal. Yes Jordan made this machine, you should see some of his others! Super rad stuff. 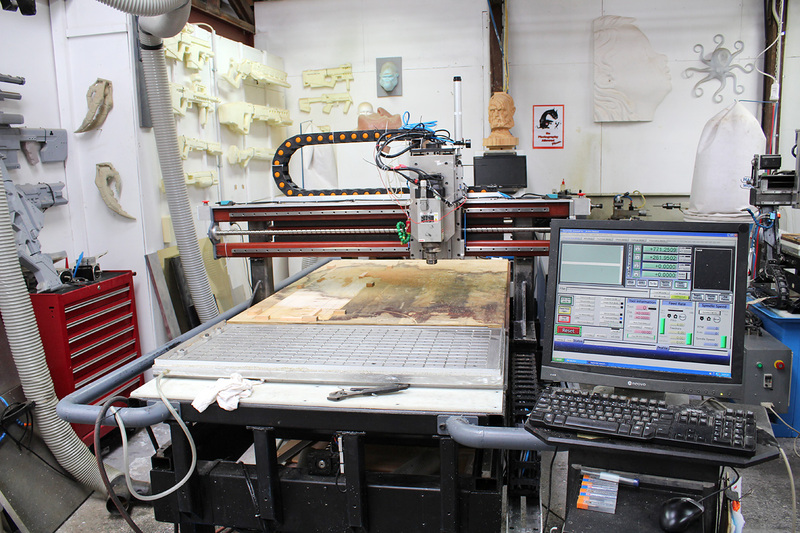 A scrap piece of 7075 alloy was fixed to the table and the robot went to work. Here's the nearly finished piece. I have to dress some surfaces and clean up the alloy spacers a bit. With the pump bolted on. Man I love this stuff! Boom! Fits perfectly and looks great! I'm stoked! 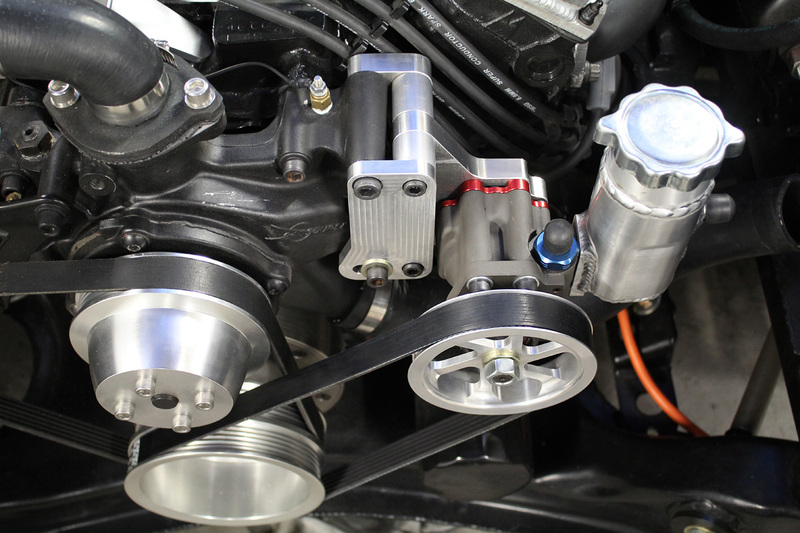 I had to modify the radiator core support of the car body, as the serpentine pulley clashed with the fans (that's what you get with a serpentine setup, a thick custom radiator, and some beefy electric fans!). I cut the old radiator mounting flange off the core support and gained an extra 10mm of space. It's tight but it all fits. Thanks for writing such a useful post. We appreciate your interest in providing us such a useful information.